- Tuition pays for the reservation of your place in class, not your attendance. - The student(s) are enrolled in class unless a 30 day written withdrawal notice is presented. - On the day in which you give notice you will be required to pay your tuition in full for the next 30 days. Please click/check the box below to acknowledge that you agree to the terms listed above. Tuition is due on the 1st of the month, but payments that are paid by the 15th are considered on time. Team tuition must be paid by the 1st or it is considered late. We require that you have a credit card on file. You must select either the 1st or the 15th for your payment to be processed each month. You may pay before tuition is due with cash, check, or credit card, but it is mandatory to have a card on file. All accounts will be processed by the 15th. If for some reason tuition is not paid by the 15th your account will be subject to a late fee (team and class policies differ). In consideration for allowing my child to participate in activities offered by Will-Moor Gymnastics, Inc., I, my heirs and assigns, next of kin, and all others acting on my behalf agree to waive any and all rights, claims, damages, actions, causes of action or suits of any kind or nature whatsoever which I have or my child has against Will-Moor Gymnastics, or any employee, representative or other acting on their behalf to indemnify, defend and hold harmless Will-Moor Gymnastics or any employee, representative or other acting on their behalf for any injuries suffered as a result of engaging in those activities offered by Will-Moor Gymnastics. It is also my intent to release Will-Moor Gymnastics, or any employee, representative or other acting on their behalf from liability for ordinary or gross negligent conduct that may occur in the future and agree not to sue. Should any part of this agreement be null and void, the gross balance of the gross agreement shall remain valid and maintain its full force and effect. This acknowledgement of risk and WAIVER OF LIABILITY has been read by me and understood completely and signed voluntarily. I am 18 years of age or older. By agreeing to this I understand that even though I am not taking gymnastics, or participating in any classes or activities for that matter, and will not be on the equipment I may injure myself being in the gym. I take full responsibility for my actions and agree to pay for any and all medical bills that might arise from an accident at Will-Moor Gymnastics, Inc. This could include, but not limited to stepping off uneven mats and twisting and ankle, broken bones, torn ligaments, spine injuries or even death. This includes outside the building in the parking lot and all surrounding areas. Please click/check the box below to acknowledge that you agree to the terms listed above and that you agree to the terms of the registration and liability release. By the very nature of the activity, athletics carries a risk of physical injury. No matter how careful the athlete and coaches are, no matter how many spotters are used, no matter what height is used or what landing surface exists, the risk can not be eliminated. Reduced, yes, but never eliminated. The risk of injury includes minor injuries such as bruises and more serious injuries such as broken bones, dislocations and muscle pulls. The risk includes and always includes, catastrophic injuries such as permanent paralysis or even death from landings or falls on the back neck or head. 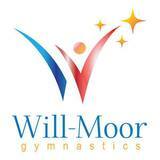 Anyone participating in the Will-Moor School of Gymnastics (along with those who are legally responsible for the participant) must sign all notices on the application, and must adhere to the safety rules governing the program. I, the undersigned certify the applicant(s) is (are) in good health and may participate in Will-Moor Gymnastics activities and agree with all of the above. In case of Emergency requiring medical treatment, the undersigned here-by authorizes Will-Moor Gymnastics to take the student to any medical or hospital facility for care and treatment. In an emergency the party to be notified will be the registered contacts and the emergency contact from the form being submitted. By your attendance in class, you are granting your permission for you and your child to be filmed, audiotaped, or photographed by any means and are granting full use of your likeness, voice, and words without compensation.